Transform your dolly into a panel cart by attaching these steel converter arms to your existing hardwood dolly. 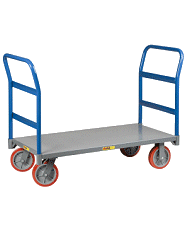 Ideal lightweight moving solution for industrial and commercial use. Handles model D-CNVR-250 loads up to 250 pounds. Sold in pairs.